I'm going to be honest, 2018 was a crazy busy year for me, and 2019 is looking like it will be just as busy. And I'm going to take a wild guess and say that your 2019 is probably looking pretty full too. 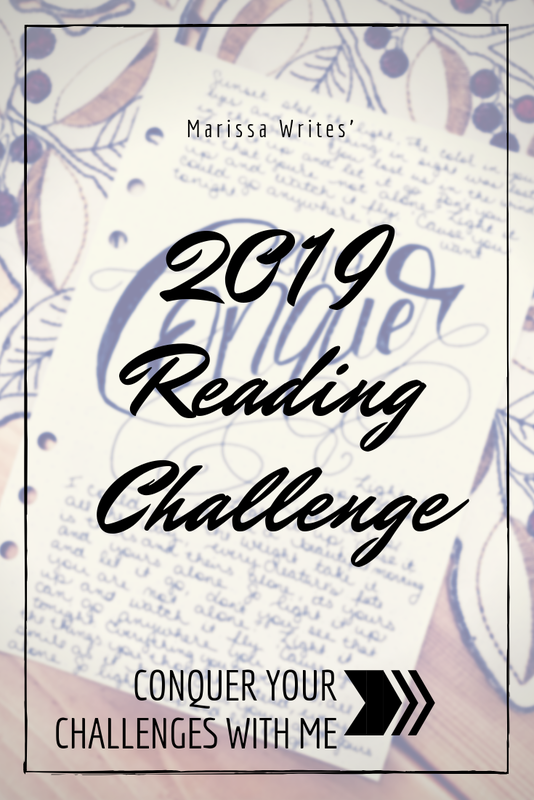 The idea of starting some Reading Challenges for the entire year is sort of overwhelming for me. However, I picked the word Conquer as my focus for the year, and in order to conquer, I need some objectives to reach for. So, of course, that means Reading Objectives. 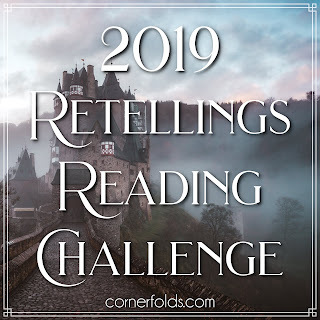 Cornerfolds 2019 Retellings Reading Challenge - So this is a new one for me, but I adore Retellings, I mean I already finished two this year... and I think it will be a fun opportunity to stay connected with other book bloggers. Hopefully, I will be able to post some reviews on here in order to connect more fully... But if you're a fan of fairy tales and retellings, be sure to check this one out! No buying... so this probably won't be a whole year plan... and it is related to the Unread Shelf challenge because technically it's part of it. But I'm going to extend it to other bookish items for the next four months at least... 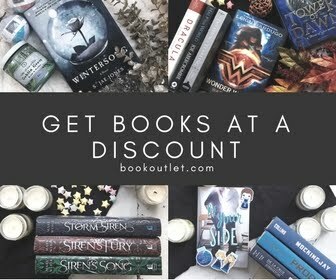 I have enough books, candles, bookmarks, sleeves, etc to get me through for a while, and so I'm going to avoid buying stuff... new or used, even on sale. The only exception will be three upcoming releases that I already have money set aside for, from the holidays. 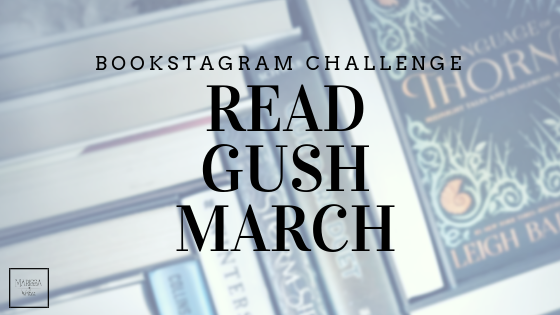 Read & Gush photo challenge - Clearly, this is my challenge that I co-host monthly, and it's coming up on its second anniversary! I'm so excited. It's a fun relaxed way to stay engaged with Instagram, so if you want an easy challenge, don't miss out... we share the new month's challenge each month around the 20th. Monthly ARC review- I say yes to a ton of ARC's all the time, to read and review them on here... and then life happens, and I can't read them as closely as I would like, and I rush their reviews... so this year I'm limiting myself to one each month - a month to read and review it. And that means I won't be accepting new ARCs for a while as I work through my backlog... Granted that guarantees a second post each month here! Weekly reading updates on IG - While I have always posted the number of books read towards my Goodreads goal in my profile on Insta, I have found a super adorable template to use weekly in my stories, which will then get slid into my Story Highlights section. It'll be a way for those following me on IG to see when I've finished a book and to expect to see a review for it on Goodreads soon. IG Story Reviews - Since I tend to wait a day or two before writing my review on Goodreads, they end up being calm and rational reviews (for the most part) about my thoughts. These quick little story reviews, again on an adorable template (which is already in my IG Story Highlights), will be the first reaction to the end of the book... super fun. Monthly Buddy Read - Finally, I am determined to agree to at least one buddy read a month with some booksta buddies... These group reads tend to push me outside of my comfort zone for reading, and I think that's important. Plus the accountability is great. And there is something to be said about having discussions about the books we read as we read them. It helps our minds to grow even more. 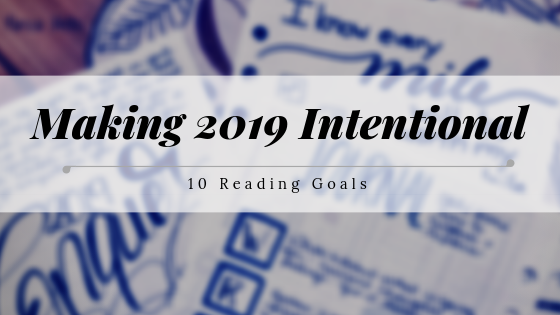 You see, I'm trying to be focused and intentional with my reading goals this year because I am returning to school this year. I know I talk about it a lot on my IG account, but in case you are still curious or didn't know, the season of being a stay at home mom is coming to end for me. As my kiddos all spend the bulk of their days in school, I'm ready to move into a season where I can I an out of the house career. And in order to do that, I need to get my masters degree. And so this is the year of school! 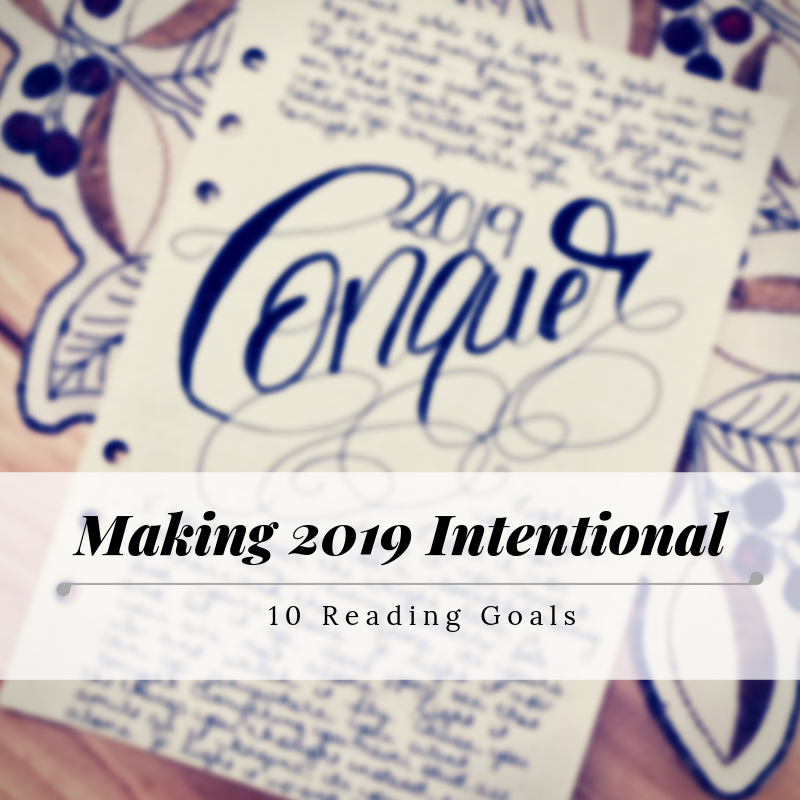 Do you have some Reading related goals for 2019? I'd love to hear about them. Good luck with your goals! I'm rooting for you. 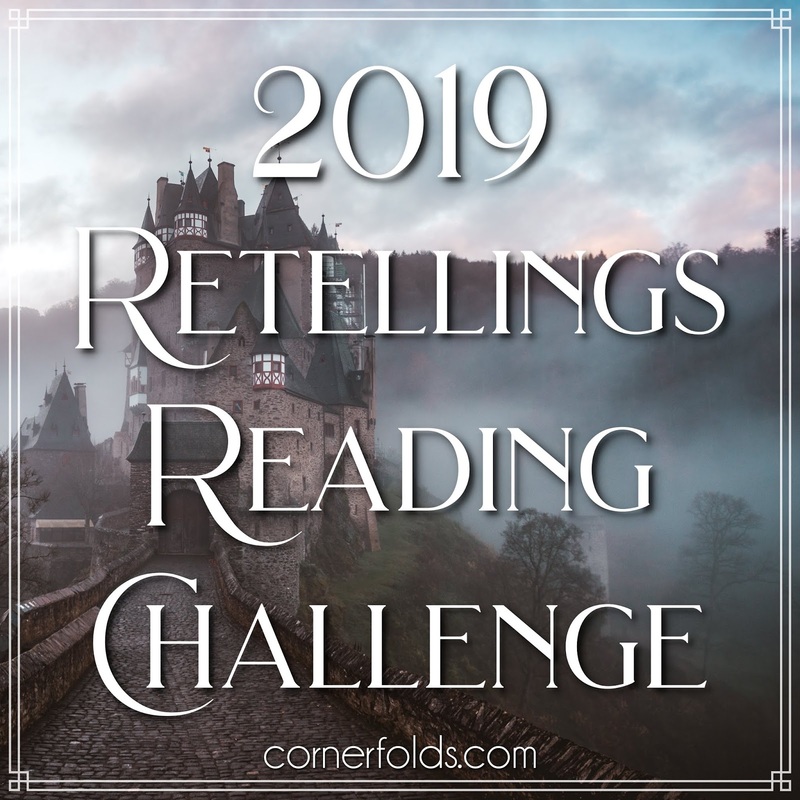 My biggest reading goal for this year is to finish more books. I DNF so many last year. I DNF quite a few last year too... I figure time is too limited to keep reading books that don't hook me.